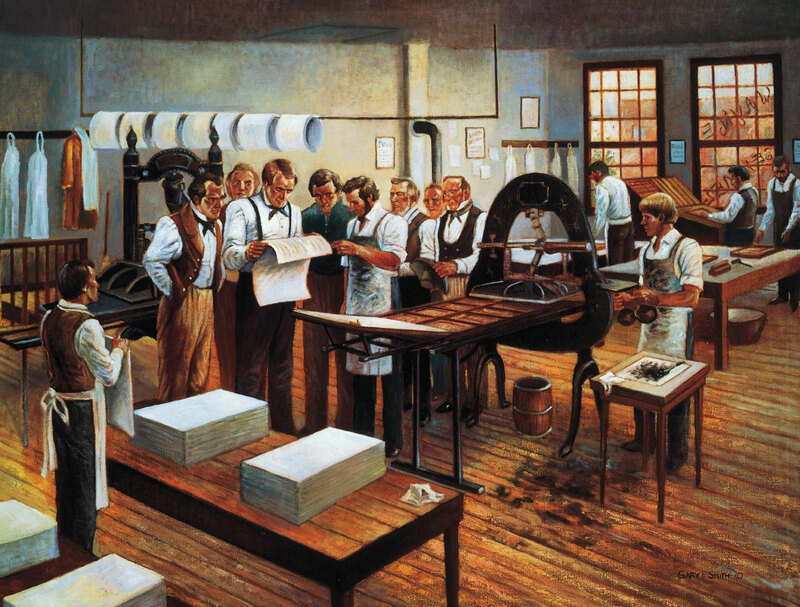 John H. Gilbert, a non-member and the typesetter during the printing of the Book of Mormon, was instrumental in the way we read this book of scripture today. What was it that he did? That same day, President Young wrote to John Bernhisel, “We are now prepared to send out Elders to the nations.” The next day in the special conference, August 29, Elder Orson Pratt publicly announced for the Church its practice of plural marriage, which announcement the missionaries’ would take with them to their fields of labor. The Closedown of LDS Iowa Settlements in 1852 That Completed the Nauvoo Exodus and Jampacked the Mormon Trail, William G. Hartley, BYU Studies, Vol. 52, No. 3, 2013, 94-95.